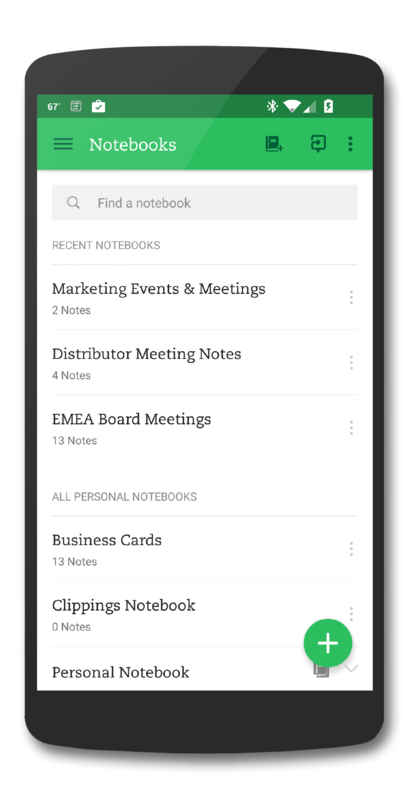 If you are a user of Evernote for Android, there is a new and significant update for you to get today. This afternoon version 7.0.5 for those keeping score at home, dropped into the Google Play Store with a fairly significant list of updates to it. The two biggest updates to this build come in the form of a user adjustable passcode timeout setting and visual enhancements to be more in line with the material design of Lollipop. The update is free of course and you can try Evernote Premium for 30 days by clicking this link which will give you added benefits such as offline notebooks, presenting of notes, allows others to edit your notes and to PIN lock your Evernote app. Evernote Premium can be purchased via an In-App purchase and is $4.99 per month or $44.99 per year. If you use a passcode lock in Evernote for Android, with this update you can select how long the app is minimized before requiring that PIN again to see your notes. You can have it set to be needed immediately, after 1, 5 or 30 minutes if you desire. The other big change is around the visual changes to align with material design that Google has outlined as part of Lollipop. The changes are subtle so don’t look for anything to just stand out and grab you but the app certainly looks like it belongs with Lollipop. Evernote has a wide range of other apps for Android users including an Evernote Widget for your start screen and Evernote for Android Wear. You can check those out in the Google Play Store too.